@minnowsupport project has tasked me with finding undervalued content in the money/crypto and business tags to curate from the MSP-Curation account. @cptnduras discusses IT sotware, but more importantly how being proactive is still best. Show This Week's Authors Some Curation Love! surprise you been here since 2016 and this is the first ever post I found you info. LOL. Goes to show how big steemit is now. New follower and will go through some of your posts as I am an deeply into crypto investing but like to be risk adverse. Thanks. Cool deal. Yeah dropping risk adverse investment practices on the regular. Have a crypto check segment on my Music and Money show as well. It's on MSP Waves Radio, which grew from the minnowsupport people. I've been really enjoying MSP Waves Radio today - I'm really glad you happened to chance across my post. The Minnow Support Project and the radio shows are freaking awesome! It's amazing how random life is. Congrats on the appointment @scaredycatguide! Can you please tell more about this? How to get noticed? Hi @scaredycatguide, I'm an honest and hardworking Steemian who blogs about crypto, and have been doing so for the past 6+ months. My blog is getting some traction now finally, but it could be a lot better. It has taken some blood, sweat and tears to get to where I am now! Compared to some of the blogs I see making a lot of money I feel that my blog is actually pretty high quality! I have 100% original content, don't plagiarize or post 'crap' and I engage with my commenters. Alas, despite my efforts I still get noticed very little and it's tough getting views, let alone decent upvotes! Many people have commented that my posts are undervalued and that I should join some Steemit communities. 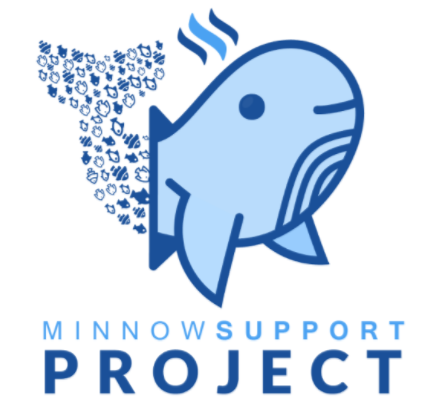 I have looked into the minnowsupportproject before but back then I found it to be too daunting as a new minnow and I kind of like to go at it alone. But I think I am ready now for some more community involvement. Would you perhaps take a look at my profile/blog and could you please tell me if you think I should make an attempt to join the MSP and if I would qualify for it? Is this an initiative that would be beneficial for me to join? @pandorasbox you basically just recited my steemit journey, thus I'm actually writing this response before I look at your blog to see if my experiences and assumptions are on point. I can measure the impact minnowsupport and other groups have had on my growth, all I know is I have been involved with them so it couldn't have hurt. It was a year of posting regularly on steemit before I saw any decent returns. As for minnowsupport there is no pressure, you can come and go as you please. It's just a community of people trying to uplift each other with a focus on minnows. So the answer is Yes. It will be beneficial because in the end, interacting with others on steemit is the best path to growth. Whether its minnowsupport, whaleshares or any of the other groups on discord that are filled with steemians. And if it's any consolation - there are plenty of users in the crypto space still crushing me on payouts whose work is considered sub-par to mine. I try not to focus on that, but on my own work and what I can control. In the end, posting about something you love and would do for free is the key to steemit, otherwise frustration will always set in. I speak from experience!